May Nakumatt rise up like the proverbial bird phoenix – Mohammed Hersi . A hotelier who is passionate about Tourism & Governance in Africa. It is my pleasure to welcome you to my blog. Good people every firm has its ups and downs. Nakumatt a Kenyan brand which is more than two decades old is going through the toughest times since inception. 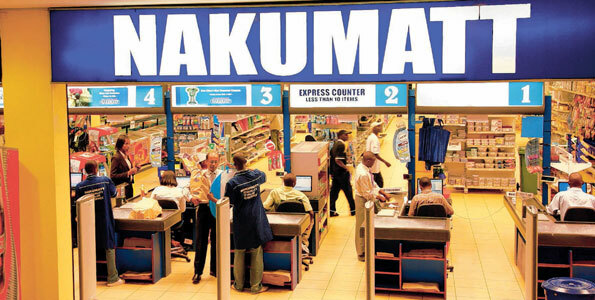 Nakumatt were pioneers in one stop shopping. They made family shopping such a pleasure . Before they moved into TZ and UG , folks from Arusha would drive all the way to Nbi for shopping. Nakumatt brought everything under one roof, from grocery to fresh vegetables to electronics and furniture. Nakumatt employs thousands of Kenyans not to mention the back linkage with suppliers and many other auxiliary services. It is malicious and sickening for anyone to cook more negative stories about Nakumatt . They are aching, the pain they are undergoing is painful enough so let us spare them . When I visit any of their stores, I see worried staff but never have I seen or heard any one of them speak Ill of their employer. They are all putting a brave face and I believe their prayers will be answered by Nakumatt turning the corner. They are currently wounded, more negative talk is not helping them. What joy do you get painting a more gloomy picture. My fellow Kenyans you all recall when Tuskys were having issues , Atul Shah offered to arbitrate yet they were a competition. History also has it that the founding parents were close before they all grew their business big time. Onky a man who thinks abundance will dare help a competitor. Finally to Atul Shah & family, Nakumatt is no longer a mom & pop store and it has never been one. It is high time you opened the business to third party directors or Independent directors who will add tremendous value including good corporate governance. By now Nakumatt should have gone public tapping into more funds from the bourse. Trust me you can still remain a key shareholder. What is the use to grow a business only to see it die while solutions are in abundance? You also need to rest and let money and professionals work for you. There is time for everything. On this Eid Day we have you and your loyal staff who have served us for years with a big smile in our prayers. Nakumatt you are considered part of our DNA you wont fold. You are down but you are certainly not out. Please rise up like the proverbial phoenix bird rise and shine again. This is the spirit of Kenya that I so much wish others could emulate.Thank you for using social media for a good course. Well put sir! Your optimism is highly admired. We tend to forget so soon. Nakumatt introduced us a different level of shopping in Kenya and environ. We should appreciate and help.